Such a unique and interesting specimen, and in great condition! 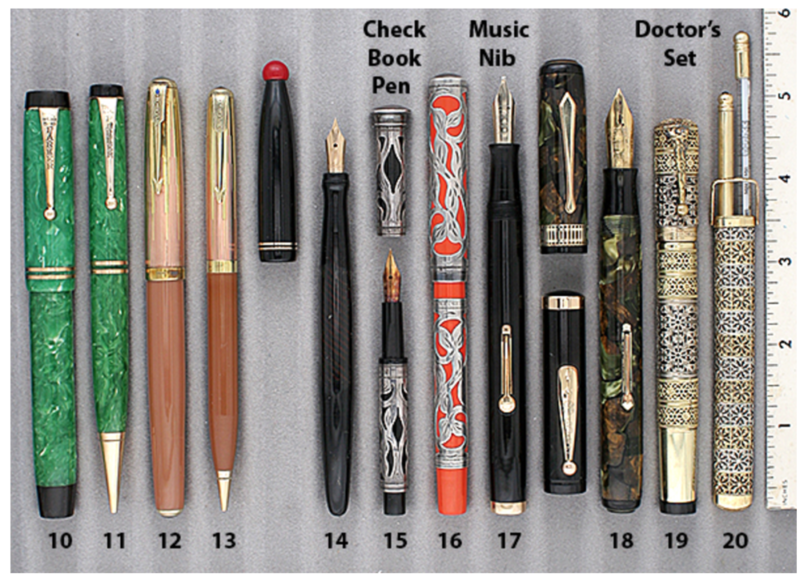 This 1927 Waterman is a 42 Continental Overlay DOCTOR’s SET in Yellow and White Gold-filled. Alternating wide White GF Filigree bands surrounded by narrower rings of Yellow GF filigree. Foliate cap top and clip. 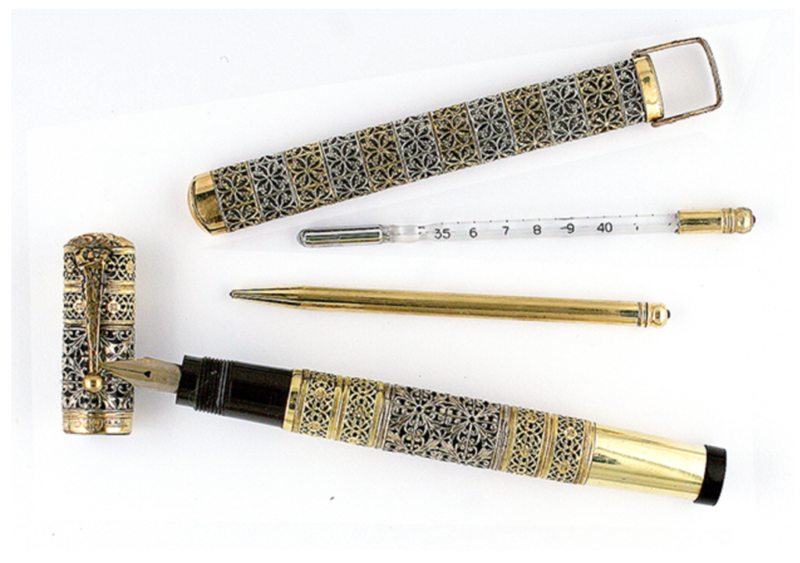 The gorgeous pen is joined by an equally stunning matching thermometer and pencil holder with a foliate carrying handle. Fine nib. New-old-stock. Mint with original red grease in the pen model number on the bottom of the turning knob. Item #19 in Catalog #82.